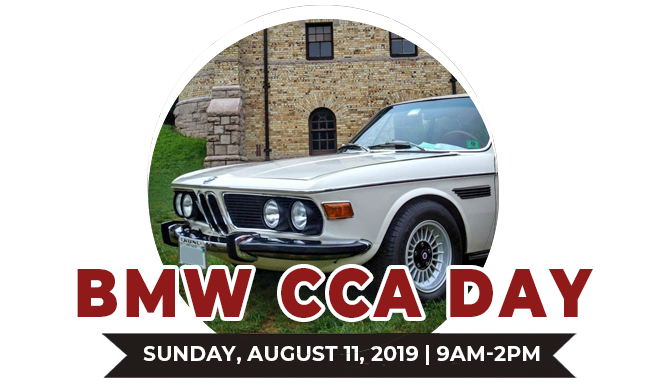 At BMW CCA Day, come witness the history and evolution of one of Germany’s most celebrated marques: BMW. Any vehicle from the Bavarian carmaker’s long and storied past is welcome at this increasingly popular show. From classic 2002′s to modern M-cars, all manner of Bimmers will fill up the lawn providing the sights and sounds of German engineering. Event Details: The show starts at 9am and runs until 2pm. Judged Car registration is $30 per car and Display Only (not judged) is $25 and includes the driver and one passenger. Please arrive early! Judged registration will close at 10:45am. Show only registration is open until 12 noon. Please note: Museum members still need to pay the Car Registration fee. Spectator admission is Adults, $10. Military, seniors, students and children 6-12, $5 and children under 6 are free. Museum Members are always free! The Museum is open for your viewing until 4pm.